When it comes to finding the right compact car for busy commuter needs, there are plenty of vehicles on the road. Drivers seek reliable fuel economy, attractive styling, and helpful driver assistance safety technology. In this age of ever-increasing connectivity, having a vehicle that can help streamline communication (without encouraging distracted driving) can be also be very important. 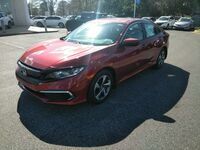 There are many vehicles on the road that can meet these needs, and the 2019 Honda Civic Sedan in Tuscaloosa AL is certainly one of them. 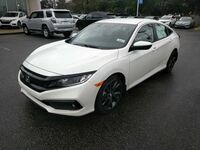 The 2019 Honda Civic Sedan offers unique styling and technology advantages. 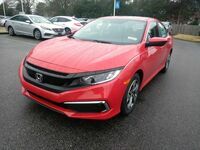 For the 2019 model year, all models of the Honda Civic will come standard with the Honda Sensing suite of safety features, and a new Sport trim is available. 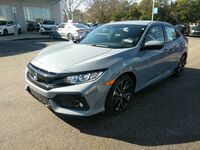 Explore the new Honda Civic inventory here at Townsend Honda below, or keep reading to learn more about this practical and attractive compact car. 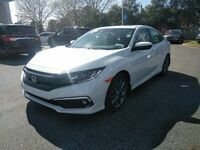 The 2019 Honda Civic Sedan in Tuscaloosa AL will be available in up to five trim levels, including the base LX trim, the new Sport model, EX, EX-L, and Touring. The two base trims will come with a 2.0-liter four-cylinder engine rated for 158 horsepower and 138 pound-feet of torque. This powertrain can come mated to either a six-speed manual transmission or a CVT. Moving to EX, EX-L and Touring trims, drivers will be able to enjoy a little extra oomph with a 1.5-liter turbocharged four-cylinder. This engine comes only with a CVT and offers 174 horsepower and 162 pound-feet of torque. 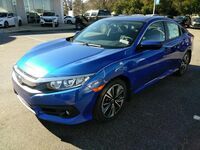 This attractive compact sedan offers 15.1 cubic feet of trunk space in most trims (with 14.7 cubic feet in the elite Touring model) and comes loaded with practical technology. While a five-inch display screen for the infotainment system is standard on the LX model, starting with the new Sport trim drivers can enjoy a 7-inch Display Audio system that offers smartphone integration via Apple CarPlay and Android Auto apps. This Sport trim also offers gloss black trim, 18-inch wheels, a black-painted decklid spoiler, and a center-mounted chrome exhaust finisher. A leather-wrapped steering wheel, and alumiumum sport pedals add a unique flavor to the interior. Upper trims also offer SiriusXM Radio, HD Radio, navigation with voice recognition, and a 10-speaker sound system. 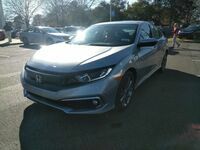 Would you like to learn more about the 2019 Honda Civic Sedan in Tuscaloosa AL? 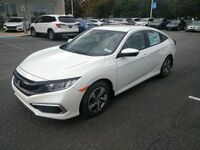 Contact a member of the Townsend Honda team today or request more information below.